The Federal Reserve’s efforts to bolster credit markets and revive growth pose a long-term risk of provoking inflation and worsening other problems that must be solved quickly when the crisis wanes, Fed policy makers said. Central bank officials, after cutting interest rates almost to zero and more than doubling Fed assets to $1.9 trillion, should design an “exit strategy” that will enable them to steadily reduce credit, Philadelphia Fed President Charles Plosser said Friday. He spoke at a New York conference that included economists and five other Fed district bank presidents. The Fed, already facing congressional criticism for invoking emergency power to expand its balance sheet, may face political pressure to keep interest rates low and credit abundant when economic growth resumes, Plosser said. Inflation may surge unless the Fed can withdraw monetary stimulus in a timely manner and fulfill its mandate to keep prices stable, he said. The need to start curtailing credit isn’t pressing, central bank officials said. The consensus of economists surveyed by Bloomberg is for contraction of 5% in the first quarter of this year. The economy will probably “shrink significantly in the first half of this year,” Boston Fed Bank President Eric Rosengren said at the U.S. Monetary Policy Forum, a conference sponsored by the University of Chicago Booth School of Business and the Brandeis International Business School. He doesn’t vote on the Federal Open Market Committee this year. Some time in the second half of the year, growth will probably resume, the Fed officials said. The central bank will need to begin raising interest rates and shrinking its balance sheet to ensure liquidity provided during the crisis doesn’t stoke inflation, they said. Government officials, reluctant to increase spending and compound the federal budget deficit, may push the Fed to expand the money supply to boost growth, he said. High levels of unemployment may also discourage the Fed from quickly withdrawing credit. The jobless rate is forecast to remain above 8% through 2010, according to the Bloomberg survey. Attending the conference along with Plosser and Rosengren were San Francisco Fed Bank President Janet Yellen, St. Louis Fed Bank President James Bullard, Minneapolis Fed Bank President Gary Stern and Chicago Fed Bank President Charles Evans. The Fed’s lending programs are designed to wind down as markets strengthen, automatically shrinking the balance sheet. The central bank provides credit at higher interest rates than private lenders, so borrowers will probably return to private markets when the crisis abates. Interest rates in the commercial paper market have fallen below the 2.24% the Fed charges to buy unsecured debt under its Commercial Paper Funding Facility. Other Fed programs will probably continue as the economy recovers, and many of the assets the Fed is buying, such as mortgage-backed securities, are long-term. The central bank may need to swap less-liquid assets on its balance sheet for Treasuries so it can more easily raise interest rates once the economy recovers, Plosser said. He proposed the Fed seek an agreement with the Treasury Department to swap non-Treasury assets and non-discount-window loans for Treasuries, transferring credit risk to the U.S. fiscal authority. The move would provide the Fed with easier-to-sell securities, facilitating its efforts to tighten credit. Plosser, 60, a former economics professor who does not vote on policy this year, said policy makers must “clarify the criteria under which we choose to step in as a lender of last resort,” to prevent market-roiling speculation about the Fed’s intent. He also reiterated his support for the Fed to adopt an explicit numerical inflation “target” and commit to achieving the objective over a period of time. Last week, the Fed released the first long-term forecasts by policy makers for inflation, economic growth and unemployment, moving closer to an inflation goal without making it explicit. That should help “reinforce inflation expectations of around 2 percent,” Yellen, 62, said. The Fed’s inflation-fighting credibility sustained public confidence in price stability as the price of oil rose to a record last year, she said. Continued attention to inflation should help moor price expectations amid signs of disinflation now, the Fed officials said. If you have ever paid attention to anything out of Washington, you know that passing the blame on to someone else is almost an art form. Why accept the blame for anything when it can be passed on to someone else? We all remember that Alan Greenspan upon his retirement was hailed as a hero, but since that time, he has come under tremendous fire for his part in the current economic crisis (keeping interest rates too low for too long). He has gone out and defended it time and time again recently because he does not want his legacy tainted. Along those same lines, former President Bill Clinton has been letting everyone know that he had nothing to do with the current economic issues. In fact, he was interviewed by the Today Show's Ann Curry (the video will be at the end of this post), who asked the former President whether he should take any blame for the current financial crisis. Clinton answered, "Oh no... My question to them is: Do any of them seriously believe if I had been president, and my economic team had been in place the last eight years, that this would be happening today? I think they know the answer to that: No." A funny thing about being President though is all the media coverage that goes along with it. Below is an article from The New York Times (which is not an advocate of the conservative point of view) published September 30, 1999, that details how "Fannie Mae, the nation's biggest underwriter of home mortgages, has been under increasing pressure from the Clinton Administration to expand mortgage loans among low and moderate income people..."
Flash back to the Today Show interview, and you must ask, is there really no blame for you to take President Clinton? It is, of course, not all of his fault, but to state that he is not to blame at all and that this economic crisis would have been averted had he been president is a bit of a reach. This may be surprising to some of you, but many years ago I had a career outside of public accounting in private industry. 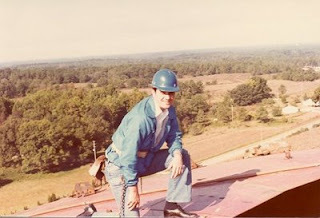 One of the accounts I worked on at an accounting practice was a company that erected elevated water tanks throughout the United States, and when they offered me a job, I took them up on it. I was there for several years, working my way up through the ranks to be the president of the company. At some point, I became interested in buying an ownership interest in the company, but when I realized that wasn’t going to happen I decided to start my own CPA practice. I left that company under great terms, with the company becoming my first client and the owner remaining one of my best friends for thirty years until he passed away in late 2006. 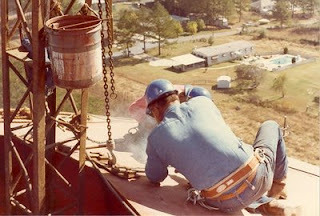 When I worked for the water tank company, I often had to go to the job sites where water tanks were under construction. We would spend anywhere from a few days to two weeks in the field, hanging around the job sites, getting in the way and asking questions that irritated the tank builders. Back then, tank builders were akin to circus performers; there jobs were extremely dangerous and could be devastating if they made even the most minor mistake. The workers made a lot of money for taking on such risk, and most tank builders never had any problems getting dates. In fact, when a tank crew moved into town for a job, it wasn’t unusual for spectators to come out and watch them construct the tanks, where they would hang upside-down 150-feet off the ground while welding the bottom of a water tank. In order to save money on a hotel room, a tank worker would sometimes shack up with a local girl. That way, he could use his hotel per diems for more nighttime entertainment. Believe me, these guys were the most skilled and courageous construction workers I’ve ever had the pleasure of knowing. 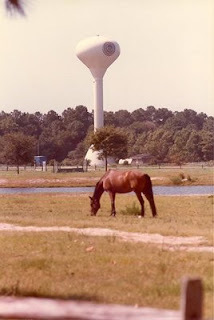 There’s a particular memory I have of working for the water tank construction company that really stuck in my mind. For the most part, the tank workers consisted of very young men. As the tanks got higher and higher, it became more difficult for older men to climb the tanks. It was relatively rare to actually see a tank builder over the age of 40. But on a particular job I worked on for over a week, there was a crew member that was close to 65-years old. He was a hoist operator and usually did not climb the tanks; he job was to hoist workers and materials up and down the tower. When he wasn’t doing that, he would hang around the bottom of the tank and clean up the debris. As with most tank builders, this fellow worked hard and played hard. He tended to drink too much and too often, and he looked much older than his 65 years. I got to know him very well, as I was usually hanging around on the ground and watching while the tank builders did all the hard work. At night we would all go out to dinner, and this particular guy was always the first to order. Notwithstanding the restaurant where we went to dinner, he always ordered fried shrimp, never looking at the menu. Several years later, I heard that he had tragically died in a car accident on a rainy day outside of Bruce, Mississippi, his hometown. When I was reminiscing about him to my friend who was the construction superintendent, he informed me of something I had never heard before. Apparently, this gentleman could not read or write, which explains why he always ordered fried shrimp and never looked at a menu. I suppose we were lucky to always go to restaurants that offered that Southern delicacy. The reason I am relaying this story actually does have something to do with finance. Basically, I wanted to point out that there are people who just read the headlines without ever reading the actual article. I am blown away by the lack of information I see in the financial press and how it’s misinterpreted. In this particular post, I wanted to provide a few specific examples of how news today has been so misinterpreted by the financial press, and while things are surely grim, they are certainly not as bleak as it’s being reported. A good example of how reading a headline but not the story can further negatively impact sentiment is as follows. On Friday, February 19th, the Federal Reserve cut its forecast for 2009 GDP growth in the United States. The Fed is now projecting a drop in the economy for 2009 in the range of 0.5% to 1.3%. In January, they had forecasted that the economy might even grow in the range of 0.2 to 1.1% in 2009. Therefore, the Fed basically downgraded the economy by approximately 2% from their previous estimates. But the headlines only indicated that the U.S. Federal Reserve forecasted negative GDP for the U.S. economy in 2009, which really shouldn’t have come as any surprise. What was confusing to me about this headline was that so many people took this headline at face value without seeing the underlying positive news. As I’m sure you’re aware, the Fed has announced that the GDP declined for the 4th quarter of 2008, and its first revision was at 3.8%. Almost all respected economists are forecasting that the loss in GDP for the first quarter of 2009 will likely be in the range of 3.5% to 5.5%. These are certainly large and frightening percentages. However, if you really think about the Fed’s projection of a drop in GDP growth for 2009, hopefully you’ll see my point regarding the embedded good news. On Friday of last week, the Federal Reserve was forecasting that the 2009 total year GDP decline would be 1.3%. If you take into consideration that the first quarter loss would be 4%, how could you possibly arrive at only a loss of 1.3% when you start out with a loss in the first quarter of 4%. Doesn’t that imply that there will be some extraordinarily good quarters in our future this year? Perhaps I have grown so accustomed to sensationalized headlines that I always read entire articles with a fine tooth comb. The article regarding the Fed’s lowering of its forecast for the U.S. economy set out that the projected GDP would have positive growth in the third quarter of 2009 and substantial positive growth in the fourth quarter of 2009. This makes it clear to me that there will be high growth in GDP in the last two quarter of 2009 in order to overcome the two very negative first quarters of 2009. The article progressed by setting out more of what I deem is also good news. The Federal Reserve is forecasting GDP growth in 2010 at 2.5% to 3.3%, with even higher growth in 2011 at 3.8% to 5%. Accordingly, it should be fairly clear to everyone who read the entire article that the negative headline failed to describe the actual content of the article. A more appropriate headline would’ve pointed out that the Fed is forecasting a significant turnaround in the economy only six months from now, which should progressively increase to extraordinarily high growth by 2011. Once again, I implore you to read beyond the headlines. These days, you just won’t get the full story without reading the entire article. With all due respect to my tank worker buddy who was a smart guy in spite of his inability to read an write, if you can read the menu, you might find that there are other things to order than just fried shrimp. On Monday, the stock market took a severe turn downward, and at the end of the day, stock prices were essentially at the same level they were in 1997. It’s hard to believe that a 12-year period has basically been evaporated by the fear and the constant selling that the professionals are doing on Wall Street. Many investors are now losing face in the financial systems because the professionals are manipulating the numbers and making the fundamental analysis of investing meaningless. Rather than cry in my beer (which I have been known to do these days), I decided to try to objectively evaluate whether there was any validity to stock prices being at the same level today as they were at in 1997. I must admit that some of the so-called experts espousing their theories on the financial news are not only discouraging but most of them are just incorrect. I can’t help but think that the pundits on TV who are saying all the banks are insolvent and need to be nationalized are the same people who are shorting the very stock they’re criticizing. There’s absolutely no indication anywhere that the U.S. government wants to nationalize banks, but this is what we’re hearing ad nauseam on the financial news. In an attempt to determine whether stock prices are fair right now, I decided to review the most basic information regarding the U.S. economy. As I have often mentioned, profitability is the most important component of investing. Obviously, the U.S. economy and interest rates have a major impact, but by far the most important component of stock values is profits. So I must wonder whether profits and the GDP in the United States are better or worse than they were in 1997. The answer would be whether stock prices are properly valued today based upon economic data. I reviewed the following charts to try to assess this information. I didn’t have the information going back to 1997, so I began my study at the beginning of 2001. As a point of reference, please remember that this was before September 11, 2001, and before the Federal Reserve started cutting interest rates to stimulate the economy in early 2001. It was also before the major meltdown in the tech bubble. All-in-all, it was actually a pretty good time for the U.S. economy. 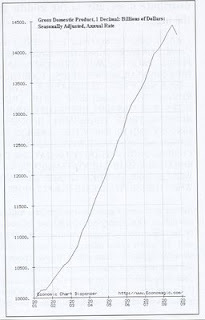 As my chart indicates, the GDP in the United States at the beginning of 2001 was essentially at $10 trillion. As of today, the U.S. GDP is at approximately $14.3 trillion. Therefore, the GDP has grown over the intervening eight years by a stunning 43%. Pundits that want to criticize everything probably didn’t notice that our economy grew by almost 50% during the George W. Bush years. Again, the most important component is corporate profits. So what has the effect of corporate profits been in the same relevant timeframe? As the following chart indicates, corporate profits at the beginning of 2001 were roughly $550 billion. Even with the significant reduction in corporate profits due to the bank implosion, corporate profits were most recently reported at $1.1 trillion, just off the all-time high of $1.23 trillion. So I don’t overstate my case, while corporate profits have essentially doubled over the last eight years, stock prices have remained flat. I question whether the people reporting all of the negative sentiments in the financial news have ever researched the facts represented in the chart above. It just seems like all we hear is negative news when the news is better than what is being reported by the financial press. Like most everyone, I cannot forecast when the stock market will turn around. However, basic textbook principles of investing tell you that the stock market turns around approximately six months before the economy. This is because stock prices are driven by improving corporate profits. We’re only a week away from March – almost exactly six months from the anticipated start of the turnaround in the U.S. economy. If the Federal Reserve is correct, 2010 and 2011 are going to be great growth years. Corporate profits are double what they were in 2001, but have certainly been reduced within the last 12 months. With the economy improving and GDP growing, it would seem that corporate profits would start accelerating. I don’t know for sure, but based upon everything I’ve learned over the years, there certainly is ample fundamental ground for the stock market to start performing better soon. In Tuesday's Wall Street Journal was a commentary by former FDIC chairman William Isaac. For a man that ran the FDIC from 1981 to 1985, it is definitely worth a read. Trust me. I've done this before. People who should know better have been speculating publicly that the government might need to nationalize our largest banks. This irresponsible chatter is causing tremendous turmoil in financial markets. The Obama administration needs to make clear immediately that nationalization -- government seizing control of ownership and operations of a company -- is not a viable option. Unlike the talking heads, I have actually nationalized a large bank. When I headed the Federal Deposit Insurance Corporation (FDIC) during the banking crisis of the 1980s, the FDIC recapitalized and took control of Continental Illinois Bank, which was then the country's seventh largest bank. The FDIC purchased Continental's problem loans at a big discount and hired the bank to manage and collect the loans under an incentive arrangement. We received 80% ownership of the company, which increased to 100% based on the losses suffered by the FDIC on the bad loans. We replaced Continental's senior management and most of its board of directors. We required the bank to submit a business plan to shrink to half its size within three years. All major decisions required FDIC approval, including the hiring, firing and compensation of senior management, and the undertaking of new business endeavors. The takeover occurred in 1984, the FDIC completed the sale of its ownership stake seven years later, and Continental was purchased by Bank of America in 1994. The old shareholders ultimately received nothing, all creditors and preferred shareholders came out whole, and the FDIC suffered what we considered a reasonable loss: $1.6 billion. So, you might wonder, what's so bad about nationalization? It appears to have worked well at Continental. Let's begin with the fact that today our 10 largest banking companies hold some two-thirds of the nation's banking assets, and some are enormously complex. Continental had less than 2% of the nation's banking assets, and by today's standards it was a plain-vanilla bank. This is important for three reasons. What's more, we won't be able to stop at nationalizing one or two banks. If we start down that path, the short sellers and other speculators that the Securities and Exchange Commission still refuses to re-regulate will target for destruction one after another of our largest banks. The Obama administration should declare that nationalization of any major bank is off the table; that the government stands behind our entire banking system; and that our banks will continue to receive a nonvoting form of equity capital, such as convertible preferred stock, from the government to the extent needed. Yesterday's joint announcement to this effect by the Federal Reserve, FDIC, the Comptroller of the Currency, and the Treasury is a critical step toward healing our banking system and economy. Well done. Mr. Isaac, chairman of the FDIC from 1981-1985, is chairman of the Washington financial services consulting firm The Secura Group, an LECG company. It's hard to believe, but not all the news in banking is bad. As market fears continue to swirl over whether the government will nationalize some large U.S. institutions, others are starting to see the benefit of a return to old-fashioned, bread-and-butter banking. Several of the nation's biggest regional banks have reported recent upticks in net interest margin, one of the most fundamental drivers of bank profits, as dirt-cheap funding and choosier loan policies are making it easier for them to borrow money at a low rate, lend it at a higher rate, and pocket the difference. U.S. Bancorp's net interest margin rose to 3.8% in the fourth quarter from 3.5% a year earlier, driving a 23% annual bump in interest income. Another regional bank, BB&T Corp., said its net interest margin rose to 3.7% in the fourth quarter from 3.5% a year earlier, a significant change when the slightest bump translates to a boost in earnings. Even some community banks, like First Keystone Financial Inc. of the Philadelphia suburb of Media, which has eight branches, highlighted a small jump in net interest margin as the one good thing redeeming an otherwise dismal fourth quarter. The Federal Deposit Insurance Corp. called margin improvement "one of the few relatively bright spots" in its third quarter banking profile, the most recent published. "Boring banking is beautiful," says Robert S. Patten, a banking analyst at Morgan Keegan & Co.
Net interest margin is the percentage difference between the interest income produced by a bank's loans and investments and the interest paid on certificates of deposit, savings accounts and other deposits. It's a far cry from the no-interest loans, packaged securities backed by risky mortgages, and other exotic schemes that banks relied on for rich profits when the housing market and overall economy were booming. Interest-rate cuts and other government interventions in credit markets have made it possible for banks to pay little for funding now. At the same time, loan pricing is improving as banks get choosier about the loans they make and as the secondary market for bundled loans withers. Deposit pricing is also shrinking as bad-apple banks that charged high rates to lure deposits have gone rotten or disappeared. The average rate on six-month CDs fell to 1.2% this week from 3.6% in August 2007, according to Bankrate.com, showing that banks are borrowing money cheaply from their own customers, as well as the government. "When all this shakes out, the banks that come through it are going to be in very good shape," says Nancy Bush, analyst at NAB Research LLC in Annandale, N.J. "Net interest income is going to be the driver." The uptick so far is admittedly tiny and isn't likely to rise much higher until banks clean up their loans. Net interest margins are still hovering at historically low levels. And while the average margin for the top 50 banks rose to 3.3% in the third quarter, it slipped to 3.27% in the fourth quarter, according to SNL Financial of Charlottesville, Va. Banks say the Federal Reserve's rate cut in December caused loan rates to fall and reined in the margin. Still, even if margin improvements are small, they offer hope at a time when the industry is otherwise mired in doom and gloom. While bank stocks are beaten down, the margin can be an indicator of the health of a company's strategy and its pricing discipline. U.S. Bancorp, for example, earning $1.61 a share last year, putting its price-to-earnings ratio at just over 6, far cheaper than the overall stock market. BB&T earned $2.49 last year and has a P/E ratio of 6.7. Banks flourished a decade ago in the heyday for net interest margin, when strong consumer spending and favorable interest rates spurred earnings growth of as much as 20% a year. Ms. Bush says no one should expect a return to that earnings growth, but steady single-digit growth may be realistic. BB&T, with 1,500 branches concentrated in the Southeast, is particularly bullish about the return of basic banking. "I really believe when we get through this, we're going to see some of the best times in basic commercial banking we've seen in a long time," CEO Kelly King said last month in a conference call with analysts. Mr. King recalled how securitization transformed the industry over the past quarter-century, with banks losing loan volume and the ability to set the prices they charged for them as those loans were parceled out to investors. Now that the securitization market has dried up, Mr. King said BB&T is already able to charge as much as 1% more on its large loans in the past four months, a reflection of the risk the company is taking on and the tight loan market. "Once we get through this cycle of 12 to 18 months, we are in for eight to 10 years of really good operating conditions for good spread lending institutions like us," Mr. King said. But Mr. Patten, the Morgan Keegan analyst, predicts that net interest margins could expand 0.20 to 0.40 of a percentage point over the next 12 months, largely in the second half of the year. Yahoo Chief Executive Carol Bartz could announce a major management reorganization as early as next week, according to the blog AllThingsD. The Wall Street Journal-affiliated blog, citing several sources inside and outside the Internet company, said the revamp would likely come on Wednesday, although it could be pushed out a week or two or rolled out in pieces. Bartz sent a memo to employees on Friday in which she said, "Get well-rested, because next week's a biggie." Yahoo officials declined to comment. A source at Yahoo, who was not authorized to speak publicly about the issue, said rumors of a reorganization were swirling within the company. Yahoo, the leading provider of online display advertising, has been under pressure for nearly a year as it held fruitless merger or partnership talks with Microsoft, Google, and Time Warner's AOL. During that time, Yahoo lost market share in search advertising, while display ad sales have been badly hit industrywide by the U.S. recession. The reorganization is expected to include a structure where executives like chief operating officer, chief technology officer and a new, more powerful chief marketing officer all report to Bartz, the blog said. In addition, several sources suggested Bartz may abandon a recent restructuring that split the world into four operating regions, the blog said. Instead, one executive could head the United States and a second head up all international efforts. Starting from a budget deficit that will shatter peace-time records, President Obama will propose a budget blueprint on Thursday that foresees cutting the red ink in half by the end of his term in office, a senior administration official said Saturday. Even before passage of his $787 billion stimulus plan, the president's budget writers foresaw an inherited deficit of $1.3 trillion, equivalent to 9% of the gross domestic product. With the stimulus and Mr. Obama's proposed housing rescue, the red ink is likely to be well in excess of $1.5 trillion, and possibly as high as $1.9 trillion, according to private forecasts. Mr. Obama will promise that he can lower that total to $533 billion, or 3% of GDP, by 2013, primarily through savings from withdrawing combat forces from Iraq and allowing George W. Bush's tax cuts for families earning over $250,000 to lapse in 2011. The forecast for a sharp drop in the deficit will also rest on the assumption that the economy recovers from the current slump before the end of the president's first term. The official declined to say how any additional spending on economic stimulus or bailouts of the financial or other sectors -- actions many economists consider inevitable -- would affect the upbeat deficit projection. The budget will also detail some of the federal programs Mr. Obama will propose to eliminate or streamline, with more details to come later in the spring, the administration official said. After unveiling an economic rescue program with a cost likely to exceed a trillion dollars, the president is now eager to emphasize his commitment to fiscal rectitude over the long term. On Monday, the White House convenes a summit on fiscal discipline, to begin tackling the burgeoning costs of entitlements such as Social Security and Medicare, address the tax code and look at budget rules to force austerity. On Tuesday night, an address to a joint session of Congress will focus on the shared sacrifices needed to tame a national debt that is nearing $11 trillion, counting the $4.3 trillion in borrowed funds from Social Security. And on Thursday, Mr. Obama will unveil a budget blueprint that tips his hand on long-term tax, entitlement, energy and health-care policies. The $533 billion deficit in 2013 will include anticipated costs for his plan to offer near-universal health care. It will also include revenues from a planned greenhouse-gas reduction effort in which businesses will have to purchase permits from the government to emit carbon dioxide and other emissions contributing to global warming. Subsidies for Medicare-managed care plans, known as Medicare Advantage, would be eliminated. Hedge-fund and private-equity managers would see their fees taxed as income, at 35% next year, not at the 15% capital gains rate. But administration aides say the budget will go to unprecedented lengths to show the true extent of the government's dire fiscal condition. In a break from the budget policies of the Bush administration, the Obama budget will account for future war costs in Iraq and Afghanistan and will show the annual cost of staving off the growth of the alternative minimum tax, a levy imposed in 1969 to ensure the rich pay some taxes but increasingly threatening the middle class. The cost of that AMT "patch" was $70 billion this year. The budget will also include the cost of staving off cuts to physician reimbursements under Medicare, a budget-cutting measure approved in the 1990s but abrogated by Congress every year. And it will assume about $20 billion for disaster assistance every year, an assumption that has never been done before, although such emergency expenditures have become routine. Including those will make the budget picture considerably worse, the administration official said. "But we're being honest, to an unprecedented degree," he added. "That is something that is very important personally to the president." The budget will also show the cost of extending some of the programs in the two-year stimulus plan, such as the $800-per-couple Making Work Pay tax cut. It assumes the extension of the bulk of the Bush tax cuts, such as cuts to all but the top two income tax brackets. The estate tax, which is now scheduled for total repeal in 2010, will instead be preserved and extended permanently at the current levels, with an exemption on the value of estates below $3.5 million -- $7 million for couples – and a tax rate of 45% on the value of estates above that level. Consumers get spending money and a helping hand with some key expenses under President Obama's stimulus plan. By far the biggest tax piece in the plan is the Making Work Pay tax credit. It would put a bit of cash into pockets, probably by having employers withhold less tax. Each eligible worker would get 6.2% of earned income up to a maximum credit of $400 ($800 for two-earner couples). So folks would see an extra $12 to $20 per weekly paycheck, depending on whether the government pays it out over six months or more. Many taxpayers will get the Making Work Pay credit, though it isn't open to anyone who earns more than $95,000 ($190,000 for couples). Its slow-drip approach is likely to stimulate spending, according to some tax experts. In hard times, people tend to stash a larger windfall in a savings account, says Roberton Williams, senior fellow at the Tax Policy Center, a joint venture of the Brookings Institution and the Urban Institute. An extra $20 each week, however, is more likely to get spent at the movies or on a piece of clothing. Subject to certain income limitations, first-time homebuyers or those who haven't owned a home in a three-year period are eligible for a tax credit under President Obama's stimulus plan if they buy a principal residence by Nov. 30, 2009. A credit would allow them to subtract $8,000 from the income tax they owe for 2009. It phases out for individuals with adjusted gross income between $75,000 and $95,000 ($150,000 and $170,000 for joint filers). The credit is also available to taxpayers who haven't owned a home in a three-year period. The homebuyer credit doesn't have to be repaid if the home isn't sold for at least 36 months. Taxpayers also get help on the alternative minimum tax. The bill increases the AMT exemption to $46,700 for individuals (up from $46,200) in 2008, and $70,950 for married couples (up from $69,950.) Without the patch, 30.3 million taxpayers would owe AMT in 2009; with it, the number falls to 4.6 million, according to Mr. Williams. People who lost a job will get help. The first $2,400 of unemployment tax compensation received during 2009 won't be subject to income tax under the plan; currently all unemployment payments are taxed. Car buyers also get a break. A provision allows taxpayers to deduct from income tax the sales tax paid on a new car. The above-the-line deduction for state and local sales tax applies to new car purchases up to $49,500 from the date the stimulus is enacted through the end of 2009. Taxpayers who claim the existing itemized deduction for state and local sales taxes can't claim this new deduction. The deduction phases out for individuals with adjusted gross incomes between $125,000 and $135,000, and married couples filing jointly with AGI between $250,000 and $260,000. Laid-off workers will be better able to afford health coverage because the bill slashes 65% from the cost of maintaining insurance through a former employer. Coverage would be subsidized for up to nine months. Workers are already guaranteed the right to extend their job-related health coverage for up to 18 months under a federal law called the Consolidated Omnibus Budget Reconciliation Act, or Cobra. The law applies to companies with 20 or more workers that are continuing to offer a group health plan. The problem is, it's too expensive: about $370 a month for individual coverage and $1,000 a month for a family. The 65% subsidy would lower the cost of Cobra premiums to about $130 a month for single coverage and $350 a month for a family, based on 2008 data from a survey by the Kaiser Family Foundation and the Health Research & Educational Trust. To qualify, workers must have been laid off between Sept. 1, 2008, and Dec. 31, 2009. Participants must attest that their annual income in the year they receive the subsidy won't exceed $125,000 for single people or $250,000 for couples who file jointly. Workers laid off from September onwards who declined Cobra will get another chance to enroll. An education-related item in the package is the American Opportunity education tax credit, replacing what's known as the Hope Credit. It would give a $2,500 partially refundable credit to cover each of four years of college. Previously, taxpayers were given a nonrefundable credit of up to $1,800 for each of the first two years of college. The new credit would help people going to school, but not very quickly, because they couldn't collect it until filing a tax return in 2010. The new credit only applies to 2009 and 2010; after 2010, the law reverts to the Hope credit unless the new credit is extended. Families can use withdrawals from 529 college savings plans in 2009 and 2010 for computers and computer technology. Until now, families could use 529 money for computers only if colleges required students to have a computer. Money Supply, in Vogue Again? Along with shaggy hair on boys and hand-wringing about inflation, money supply -- that favorite 1970s indicator of economic cycles -- is making a comeback. Some economic forecasters and strategists are pointing to a steep five-month rise in the amount of money held as indicating that a recovery in the U.S. economy is slowly but surely getting under way. The rise in the M2 measurement of money supply is saying "monetary policy is pretty easy and the economy may pick up before the consensus expects it," said Paul Kasriel, chief economist for the Northern Trust. Kasriel, for years one of the gloomier private-sector prognosticators thanks to his early forecast that the U.S. housing market was on the path to meltdown, now has a sunnier outlook. He expects the economy to start recovering by the fourth quarter and that it will avoid a prolonged, debilitating bout of deflation. One reason, he says, is the federal government's spending to get out of the financial crisis, which is forcing more money into the banking system. The Fed has injected roughly $1 trillion into credit markets in the past year by buying commercial paper and agency bonds, for instance. And the Treasury is issuing record amounts of debt to underwrite the federal deficit. If the Fed buys back more of that debt, its puts more money into supply. Forecasters like Kasriel say some of the government's actions are already showing up in bank accounts. The M2 measure of money, which includes currency in circulation, checking accounts, saving accounts, and balances in retail money-market funds, has jumped sharply since September. In January, the M2's annualized growth rate over the previous three months jumped to nearly 18%. In August, the three-month average growth rate was less than 3%. These higher savings, in turn, should spur more bank lending and thus economic recovery. "It's not as good as it used to be but it's still better than a lot of things," said Kasriel of M2's track record as a predictor. "It does a pretty good job of foreshadowing what the economy is going to do." Growth in the money supply was the main contributor to the second straight monthly rise in the index of leading economic indicators, which tries to forecast economic activity six to nine months in the future, the Conference Board said Thursday. "Because M1 and M2 are growing, there will be an economic recovery," said Craig Callahan, a $2.5 billion value fund manager. M1 refers to a narrower measurement of money. He has been telling clients that the increase in the past half year -- after three and a half years of modest growth -- means "this economic recession has a finite life." Usually, Callahan says, it takes six to nine months for a pickup in money supply to take effect. That would mean a turnaround is already under way. The "combination of money supply growing plus the fiscal stimulus means we would expect the market to move sharply higher in the coming months," he said. Following the money supply down to the fifth decimal place was a popular activity for economic forecasters from the 1960s to the mid-1980s, when the actions of the Federal Reserve to pump more money into circulation often foreshadowed a turn in the economic cycle. Central banks such as the Federal Reserve also set targets for money supply to achieve its goals of keeping the economy growing and prices stable. Those who believe in using the money supply as a leading indicator point to recoveries such as the one following the recessions in 1973-1975 and the early 1980s as evidence money supply can successfully determine future growth. For example, by December 1981, the annualized three-month average rate of M2 growth had risen to more than 12%, up from less than 6% in July 1981, the start of the 1981-1982 recession. By the end of 1982, the economy started an expansion that would last more than seven years. Measures of money supply have fallen out of favor with private-sector forecasters as well as the Federal Reserve in the past 20 years, however. Over that time period, savers put more of their money into increasingly popular non-bank investments, such as cash-like bonds and stock mutual funds. In recent years, the Federal Reserve has also debunked the merits of using the money supply to predict economic growth. 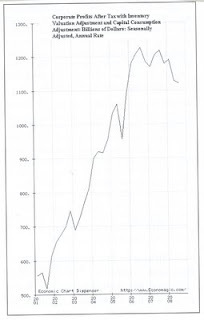 In 2006, it stopped publishing a third measure of money supply, the M3, because it decided it was not worth the resources to collect that set of data. But the flood of Fed cash into the credit system in this cycle -- and the ensuing worry that this liquidity spigot will lead to runaway inflation -- has prompted senior Fed officials recently to spend more time talking about the impact of money-supply growth. The higher-than-normal increase in M2 is primarily due to investors' demand for greater safety, Fed Chairman Ben Bernanke wrote in the footnotes of a speech he gave Wednesday. "We expect growth in M2 to slow considerably in 2009," he wrote. The Fed, he said, sees "little risk of unacceptably high inflation in the near term." But even the naysayers acknowledge the indicator is making somewhat of a comeback. "It's made a bit of a revival now," said Nomura's Pandl. "We're in a period of unconventional monetary policy. People are looking at different metrics, and money supply has made a resurgence." I have a beautiful, large tree in my backyard that hangs over my deck. I’m not sure what kind of tree it is, but it is an incredibly accurate gauge for spring’s arrival. This tree goes dormant in the winter every year, losing all of its leaves. Throughout winter, it stands starkly naked against the dreary sky. Only in spring does it come to life, first with white petals that quickly fall off to be followed by dark green foliage that canopies the yard. It’s always somewhat exciting when this tree comes to life after being asleep all winter. We’ve had about two good weeks of warm weather here in Atlanta and my yard is beginning to show its thanks. When I got home from work last night, my back deck was covered with white petals, giving it the illusion of a light dusting of snow. It’s amazing to me that winter’s end is drawing near already, and we’re only a few weeks away from a more moderate temperature. The roses in my yard, which are my pride and joy, along with the azaleas, are on their way to a beautiful unveiling of blooms at the beginning of April. The metamorphosis from winter to spring typically brings a smile to most faces, but alas, our current economic situation has seemingly put a damper on our happiness. In watching the news this morning, I was overwhelmed by the incredible pessimism being reported by the national news. It’s really going to be hard for the United States to start moving forward unless someone convinces us that the world really isn’t in a tailspin and that we’re only suffering through a correction. Hopefully we will see the news take a more positive tone now that President Obama has signed the stimulus package. Until consumer confidence improves, it is going to be hard for the country to pull itself up by its bootstraps and go to work with a better attitude. Hopefully, like spring, those days aren’t far away. I got into a lively discussion with a client the other day regarding mark-to-market accounting. I indicated that I had wanted to write a blog on the subject, but that most people were either ambivalent about the topic or that most eyes tended to gloss over out of boredom when I discussed accounting terms. But the more I hear on TV and the more information we receive from the financial press, the more I think I need to take a shot at explaining it. Maybe a rudimental explanation of a complex subject will at least get people thinking. I continue to be outraged by our elected officials’ inability to understand – or even attempt to understand – complex issues. Two administrative moves have been made over the last two years that have directly led to the poor performance of the financial markets and indirectly, the performance of the U.S. economy. They are so simple and so basic that it’s amazing we continue debating the same subjects ad nauseam. A reversal of these two policies would not only focus the market, but it would also relieve the pressure on our banking community. The first of these policies that need to be reversed is the very famous uptick rule. On our blog, we have often opined that the uptick rule needs to be reinstated. It was administratively deleted on July 1, 2007, at the height of the strong market, when the SEC indicated it was unnecessary. I will not go into a long-winded explanation of why the uptick rule is necessary because its importance is well documented throughout history. After the uptick rule was suspended in July of 2007, there were no barriers to the people that short the market (sell before they purchase the stock) or elect to force a company out of business by coercion. They, in concert with others (which is illegal), can essentially sell down a stock until it’s worthless. Notwithstanding the financial performance of that stock, short sellers are not taking on any risk by continuing to short it since there are no administrative means to prevent them from doing so. Look at Fannie Mae and Freddie Mac, Bears Stearns & Company, Lehman Brothers, Wachovia, and (almost) CitiBank and how not having the uptick rule in place has damaged those companies that were once the backbone of American finance. The uptick rule worked for the first 78 years that the stock market was open, but since it was suspended almost two years ago, investors have been destroyed due to a lack of administrative oversight. A tremendous amount of damage has been done to the financial institutions of our country due to this lack of oversight, and a tremendous amount of assistance could be offered to this group of companies if only someone would take the time to determine what would be in the best interest of the country as a whole. The stock market opened on October 9, 2007 at its height of 14,163. Today, the Dow Industrial Average stands at 7,500, down a whopping 47% in the intervening 18 months. The accounting profession dictated that the financial instruments held by banks were required to be valued on a mark-to-market basis for publicly traded companies effective November 15, 2007. Therefore, essentially all banks and financial institutions were required to revalue these long-term assets effective January 1, 2008. If you believe that the decline in the stock market and the implementation of the mark-to-market rules is just an unfortunate and ugly coincidence, then I wonder if you have also purchased beachfront land in Arizona and still believe in the Tooth Fairy. Unfortunately, the suspension of the uptick rule and the implementation of the mark-to-market rules have very much temporarily destroyed the financial security of many investors. There’s a simple example to illustrate the mark-to-market issue: A company owns a building that leases to a third party and it receives rent on that building. For general accounting rules, this building would be amortized over its available life and the value would be marked down based upon general depreciation rules of 40 years or so since it is a long-term asset. At the end of its depreciation life, its value would be determined based on what it can be sold for in the open market. Now, assume that next door to that building is another building that’s exactly the same and that is rented out for exactly the same rent amount. The only difference is that the second building is owned by a distressed landlord. Due to financial circumstances beyond the landlord’s control, he is required to sell that building at a 40% discount to the true underlying fair market value of that particular building. Even though the first landlord had nothing whatsoever to do with the actions of the second landlord, what if the first landlord is required under current accounting rules to take a 40% loss on his building, even though the true value of that building has not been diminished and he had done nothing? Here’s another example using a financial instrument: Let’s say that we have two identical holders of a 30-year bond from the country XYZ. This bond requires that interest be paid on a semi-annual basis, and the financial stability of the debtor is not in question. However, this bond is very rarely traded, and in fact, due to its limited trading activity, it has virtually no market value. The underlying interest rate on this bond is 5%. During the bond’s life, its value moves up and down dramatically based upon current interest rates in the market. If current market interest rates jump up to 10%, the implicit value of the bond would have to fall to match its 5% coupon rate. However, the owner of this bond has the capacity and the desire to hold the bond until maturity when he will receive the full value of the principal invested along with the annual 5% interest for the entire 30 years. As with the building example, another holder of this bond gets into financial difficulty and sells his bond on the open market at a 40% discount. Does the first bond owner really incur a loss of 40% of his principal even though he has received all of the interest payments and has good assurances that he will receive his full principal at maturity? As the two foregoing examples illustrate, valuing long-term assets is an inexact science. For the holder of the stock of a company that holds either of these assets, I would vigorously argue that neither of their values has been diminished by the actions of the other similar holders. However, this is exactly what has happened to the banks in our country since January 1, 2008. For those in the financial markets who continue to argue that it is important for us to know the exact value of the underlying assets, it is interesting to note that in the first 200 years of our existence, we got along just fine under the old accounting rules. There were almost no banks that went out of business in the United States from 1996 through 2006. However, we are now up to approximately 30 banks that have failed in just an 18-month period. These bank failures correspond almost exactly with the implementation of the mark-to-market rules on November 15, 2007. Coincidence? Unequivocally not. Beginning January 1, 2008, the banks were under a completely different set of accounting rules. Their cash flow had not been impacted, their liquidity was exactly the same and their financial positions on a long-term basis were just as stable as they were on December 31, 2007. However, beginning on that day, they were required to write-down billions of dollars of assets that they fully intended to hold to maturity. These assets weren’t bad; there was just no market for them. Additionally, the bonds in question continued to perform favorably, but the banks were now required to write them down 30% to 50% based upon an illiquid market where the bonds could not be openly sold. First, it’s important to realize the impact of this transaction on banking in general. Since the banks can essentially lend 10 times their capital, the lending capabilities of the entire financial structure in the United States were immediately and dramatically diminished. If banks wrote down $500 billion in these assets, the U.S. lost $5 trillion in lending capacity. Nothing had changed, but since their capital had eroded they could no longer lend as much money as they were able to only one year (or even one month) previous. One minor change in the rules essentially made the banks insolvent. I guess that’s the axiom of unintended consequences, and if it were not so serious, it might even be funny. The financial markets immediately began reeling on the effect of this transaction. Financial commentators throughout the world commented that all the banks were now insolvent and had no ability to carry on. I’m betting they were shorting the stock or did not understanding basic accounting. What is interesting is that nothing had actually happened and then the banks go from having excess financial capital on December 31, 2007 to being insolvent (at least by this definition) at January 1, 2008. One day does not equal insolvency. Many of our banking institutions have been destroyed due to an ill-informed, ill-applied and overly-cautious accounting rule. There’s a simple solution to this issue, and it’s one that could be signed by Congress, the Chairman of the FDIC or the Federal Reserve Chairman tomorrow. It would require no special legislation, no specific Congressional approval or any type of intuitive thinking. We could allow the accountants to take their pessimistic and gloomy analyses and continue to reflect them on the financial statements for the world to know. This information could be disclosed in massive detail that only the nerdiest of nerds would understand. We could create transparency of information unlike any ever created before, and we could make this information available to each and every person who wanted to evaluate it, understand it, and act on it if anyone actually cared. However, we would not charge these write-downs against their regulatory capital and therefore, not reduce the bank’s lending capacity. For those of you who continue to argue that it is important to value your assets on a fair market value basis, I want to point out that we have never done so before, so why is it so important now? This solution would solve everyone’s issues. The accountants and financial analysts would still have the information they need to evaluate the specific banks. However, the banks would have the regulatory capital to continue to lend, which ultimately supports the U.S. economy and how they make money. It’s amazing to me that a solution this simple seems so foreign to a government that has become too big to function. If you think that mark-to-market has not been detrimental, just think about Wachovia and CitiBank. These are two of the most successful banking enterprises of our lifetimes, and they’ve essentially been put out of business due to this simple accounting mistake. I, for one, believe that the banks are little changed from where they were a few years ago. While it’s true that they’ll have bad debts due to the recession, I think these amounts are fully accounted for in their reserves for bad debts. These banks have gone through many recessions before and survived. What’s different now? In fact, I believe that the banks are little different than they were on December 31, 2007, except the owners of these financial instrument’s common stock have lost 90% of their value due to the combination of bad accounting under the mark-to-market rule and the inability of our government to enforce guidelines on short selling and the uptick rule. Did a U.S. Congressman Really Ask Jamie Dimon, J.P. Morgan Chase's Chairman, Whether His Banks Have ATM's? It was surreal last week watching eight chairmen from the largest financial institutions in the United States being questioned by members of the U.S. Congress. For the large part, Congress seemed uninformed as they posed unintelligible questions to some of our country’s brightest entrepreneurs. This should be an embarrassment to all Americans. It is disappointing that we elected such unqualified representatives for the tasks with which they seemingly have no clue. The rest of the world must’ve been more than mildly amused when Congress asked some of the most educated and intelligent financial minds in the world irrelevant questions, like whether or not they had anti-virus software. What was their point? I don’t know about you, but I didn’t feel much patriotic pride when watching those hearings last week. I’m also completely blown away by Congress’s misremembering when recalling the past. 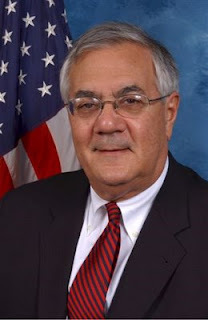 Last week, Congressman Barney Frank of Massachusetts stated on CNBC that he had absolutely nothing to do with the problems concerning Fannie Mae and Freddie Mac. He stated that he had only become Chairman of the House Financial Services Committee in January of 2007, and that all of the problems were directly traceable to the Republican Party. He further declared that he had lobbied to rein in Fannie and Freddie during his years in Congress. I must’ve really startled Shaft, Daisy and Sam when I jumped completely out of my chair from hearing Barney Frank’s outrageous comments. To see if my memory was serving me correctly, I checked YouTube to see if I could find anything to prove Barney Frank’s statements to be incorrect. Low and behold, I found footage of Barney Frank proclaiming that Fannie and Freddie were on strong financial ground and that the government should do nothing to restrict them from loaning all the money they could to potential homebuyers. I’m beginning to wonder if members of Congress believe that if they say things enough, the public will soon believe something other than the truth. How stupid do they think we are? The Senate passed the economic stimulus package this past Friday, and President Obama is expected to sign it this Tuesday. While I have vast disagreements with many provisions of the bill, there is no question that it will do a lot more good than harm. Unfortunately, due to the nature of the new stimulus package, not much of it will have much of an impact during this year, when it is most needed. For example, it is unfortunate that our representatives did not approve a payroll tax decrease that would positively affect all American individuals and businesses immediately. So much for bipartisan politics in Washington! There couldn’t have been a more partisan pork barrel bill than what was approved. We can disagree on where the money is spent, but there really can be no disagreement that any money spent helps the economy. It’s unfortunate that many of the provisions approved will not be spent for years to come, but I suppose to get anything passed, the spending bills that couldn’t be approved over the last eight years had to be thrown into this stimulus package. We will see if the stimulus package is effective or not as the years progress, but at least it’s off dead center and we can start moving forward. 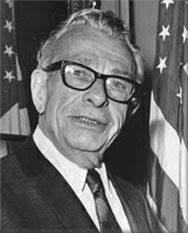 It’s amazing how immune we have become to the word, “billion.” As Senator Everett Dirksen (1896-1969) is so famously attributed to saying, “A billion here, a billion there, pretty soon adds up to real money.” No one should ever lose sight of the sheer volume that’s involved in this stimulus package. Nothing before this stimulus package, and likely nothing after, will ever reach this massive scale. I am not in the least bit concerned that this amount of money will not stimulate the economy. Clearly, I disagree with some of the provisions is includes, but I still believe that it will be successful in the long run. The troublesome part of the stimulus bills is its direction. There’s significantly more money allocated in this bill for the arts than there is for small businesses that create three out of four new jobs in this country. In any event, the bill has been enacted and now it’s time to move forward. To try to determine the magnitude that this amount of spending entails, I performed some research. 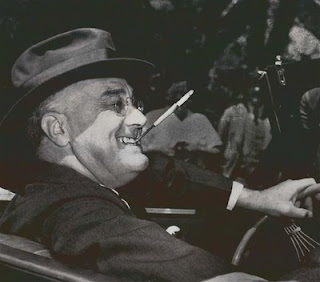 As I have written previously, it was not the New Deal that pulled America out of the recession in the 1930’s; it was the beginning of the arming up for World War II. The United States first incurred deficit spending to provide the military armaments and personnel for World War II which pulled the sluggish U.S. economy back into positive GDP growth. It is well documented that the entire cost of World War II was $288 billion. To put that amount in perspective, it’s important to realize that the new stimulus bill is $800 billion – four times the actual amount of money spent over the entire duration of World War II. In response to those who might point out that money in 1941 does not equal that of 2009, I have already taken that into account. The $288 billion spent in World War II would be $5 trillion in today’s dollars. However, the money spent on World War II was over a five-year period, so basically in 2009 dollars, $1 trillion per year was spent from 1941 through 1946. With the new stimulus of approximately $800 billion, along with the TARP ($700 billion) and all the other money dedicated to fixing the banking issues (about $2 trillion), we are talking about injecting almost as much money into our economy in one year than what was injected in the entire U.S. economy for the entire duration of World War II. Wow! These amounts are almost unbelievable! One of the most encouraging provisions of the tax bill was a major help to the residential real estate sector. A provision was included in the stimulus package that provided a $15,000 tax credit for each and every home purchased in the United States. I have personal knowledge of three closings that have been delayed because they are awaiting the passage of this particular provision of the stimulus package. In the hearings, this provision was downsized to allow first-time homebuyers only to be eligible for a tax credit of $8,000. It’s a shame that Congress did not approve the $15,000 tax credit, since it would’ve been an immediate help to most Americans as it pertains to homeownership. In fact, bills like protecting the wetlands outside of San Francisco – which has no stimulating impact on the economy – were instead approved. Likewise, while provisions to give money to colleges are worthwhile and noteworthy, they really has no effect on stimulating the economy. In any case, Congress had the opportunity to approve a helpful bipartisan economic stimulus bill, and they elected to pass. It is somewhat discouraging that President Obama has become such a negative critic of the U.S. economy recently. For running his campaign on an agenda of hope and change, I think his desire to pass the stimulus package has hurt consumer confidence. Over the last several weeks he has been forecasting that a catastrophe would occur to the U.S. economy if the stimulus package was not passed. In fact, it is rare that you ever hear a sitting president be so over-the-top in a negative manner regarding the U.S. economy. I sure wish we had a cheerleader rather than a critic. I can’t help but think that over the last several weeks, this avalanche of negativism coming from the Obama Administration has further prolonged the recession by further diminishing consumer confidence. Hopefully we will start hearing a more positive spin out of Washington now that the bill has passed. On the other hand, I was encouraged when the Obama Administration appointed some strong, smart individuals to be a part of the finance team. Many of these individuals have been around government and finance for decades and they have prior experience in economic chaos; their seasoned opinions are well-respected by the business community. However, I’m starting to question whether President Obama is following their advice. I couldn’t help but be concerned by President Obama’s quote from last week when asked about additional tax cuts to be added to the stimulus bill: “We have tried that strategy time and time again of tax cuts for the wealthiest few Americans. It only helped us lead to the crisis we face right now.” I can only hope that the President’s comments were based on his lack of knowledge on the subject, because if it was anything other than that, it was a complete untruth. Any study of the U.S. economy regarding the effect of lower taxes has always yielded the opposite result. Giving President Obama the benefit of the doubt, hopefully his new finance team will advise him of this mistake – or maybe he’ll figure it out by reading our blog! The facts are fairly easy to document: Since World War I, the United States has suffered five major downturns. In four of them, the government cut tax rates. In each of the four out of five, an economic boom ensued after the tax cuts. There was only one major downturn when the government responded by raising taxes, erecting trade barriers and enacting massive spending programs to get out of the slump. Today we characterize that period of time as “The Great Depression.” These facts are not economic hyperbole. While it may seem intuitive that increasing tax rates would increase revenues to the government, this has never held to be true. Hopefully President Obama will get that economic axiom correct. 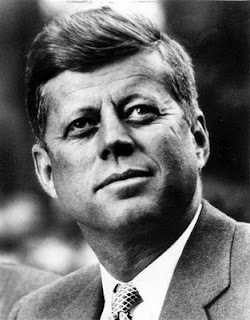 The most clear example of how cutting tax rates positively impacts the economy was in 1963 when President John F. Kennedy (incidentally, a Democrat) said that lower taxes meant higher growth. He even proposed cutting the highest marginal tax rate in the United States from 91% to 70%. After his death, these cuts were enacted and the country enjoyed an economic boom through 1970. Due to lower tax rates, the economy was very robust from 1961 through 1970. During the 1980’s, Ronald Reagan took over an economy with a 21% prime rate of interest, double-digit inflation and staggering unemployment. Due to his implementation of lower tax rates, the economy quickly picked up to a GDP growth that averaged 3.2% in his eight years in office. Even more interesting is that the economy continued on an upward trend until George H.W. 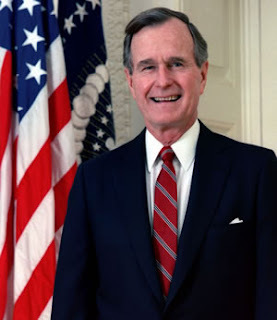 Bush (“Bush Part I”) increased taxes in the late 1980’s, throwing the country into a recession. Of course, this ultimately led to his failure to be reelected. Even during the 1990’s we had great economic years under President Bill Clinton. But once again, he fell for the axiom that higher taxes meant higher revenues to the government. Late in his second term, he pushed through massive tax rate increases which, in fact, did balance the federal budget, but threw the country into a recession by 2000, his last year in office. Even going back to 1921 through 1925, the same economic axiom held true. Under Presidents Harding and Coolidge, tax rates were slashed 25% and GDP rose at an annual rate of 3.4% in the four years after the tax cut versus 2% with higher taxes. As you may recall, the Roaring Twenties were strong economic years with GDP going up almost 50% through the latter part of the 1920’s. A closer time period proves this axiom once again. 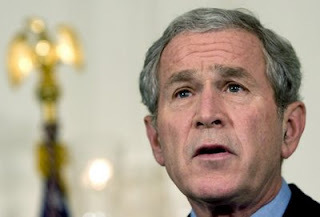 When President George W. Bush (“Bush Part II”) took office in 2001, the country was already suffering a serious recession due to President Clinton’s tax increases. This coupled with the tragic attacks on September 11, 2001 threatened the economic stability of the United States. Due to massive tax cuts instituted by President Bush, the economy only suffered a minor one-quarter negative GDP growth and turned up for a significant and large economic boom all the way through the end of his final year in office. The economic evidence is so overwhelmingly crystal clear that for anyone to assert anything different indicates an improper education in reality. I am often questioned as to how we will ever balance the federal budget if taxes are constantly being lowered. I see enormous hand-wringing and consternation by Americans regarding the increasing deficit, and not once have I heard a politician discuss the real answer to the deficit issue. Frankly, diminishing the deficit is easily attainable through reduced governmental spending. If our government would quit talking about higher taxes and address reduced spending, budget surpluses could quickly be attained. However, not until government officials honestly discuss government waste will we ever have a chance to stop burdening Americans with higher taxes year after year. There are many troublesome aspects to the new stimulus package. One of the most troublesome is the federal government’s intervention in local school districts and federal subsidies of state deficits. There are a few things that our federal government should not get involved in. One, in my opinion, is that the federal government should not be making decisions for local school districts. I also believe it’s not the federal government’s job to bail out states that have unscrupulously and unwisely controlled their own budgets. There is no question that turning federal money over to local school systems and state governments will stimulate the economy. I have no doubt that each will figure out a way to spend that money as quickly as possible. The question on my mind is if that is appropriate, smart and if the taxpayers throughout the entire U.S. should be subsidizing local economic projects. In closing, I want to put the usefulness of this bill in context. It’s not exactly what we needed, and as President Obama has said, “It’s not perfect a perfect bill,” but notwithstanding its shortcomings, it will stimulate the economy. By this time next year, we should all be back on solid economic ground. I just wish everyone would take a deep breath and allow these numerous governmental programs to take effect. The economic recovery will come, but it won’t be overnight. Give it a chance; I strongly believe it’s definitely in the cards in the coming months. Wal-Mart Stores posted a quarterly profit that beat Wall Street forecasts, helped by higher U.S. sales at its namesake discount stores, and said it expected to continue to perform better than its competitors. The world's largest retailer saw U.S. sales rise 6% in the quarter as it attracted more shoppers trying to save money in the recession. International sales slid 8.4% due to a stronger U.S. dollar while sales at its Sam's Club warehouse clubs were flat. "Our performance relative to competitors was exceptionally strong in the fourth quarter and throughout the year," Chief Executive Mike Duke said in a statement. "We expect this momentum to continue." Profit fell to $3.79 billion, or 96 cents per share, for its fiscal fourth quarter that ended January 31, from $4.096 billion, or $1.02 share, a year ago. Excluding a 7 cent charge per share for the settlement of class-action lawsuits, earnings came to $1.03 per share. Analysts, on average, had expected the company to earn 99 cents per share, according to Reuters Estimates. Net sales rose 1.7 percent to $108 billion. Last month, Wal-Mart forecast earnings per share from continuing operations of 91 to 94 cents, down from an original view of $1.03 to $1.07. It said results would be hurt by a stronger U.S. dollar, a settlement for class-action lawsuits and weaker-than-expected sales in certain divisions. It also said that for the new fiscal year it expects first- quarter earnings of 72 to 77 cents per share, with full-year earnings of $3.45 and $3.60. Analysts had forecast 77 cents per share for the first quarter and $3.57 for the year. Microsoft's decision to launch a retail push for the first time suggests the company is hoping the success of smaller rival, Apple, in reaching consumers, may rub off on the larger company. On Thursday, Microsoft confirmed long-rumored plans to launch retail stores, a move underscoring the challenges the Redmond, Wash.-based software giant faces in the way it reaches consumers. While Microsoft owns the world's largest and most profitable software franchises in Windows and Office and has a successful consumer electronics product in the Xbox console, it has stumbled in recent years with consumer-facing products like the Zune music player, which have failed to make significant traction against Apple's iPod. Meanwhile Apple's operating system has recently made gains in the core desktop computer market, which Microsoft, through its Windows operating system, dominates. In 2008, Apple's share of the U.S. personal computer market rose to 7.7%, according to IDC, from 6.4% in 2007. Microsoft said it had hired David Porter, most recently head of worldwide product distribution at DreamWorks Animation since 2007 and a 25-year veteran of Wal-Mart Stores, the world's largest retailer. "We're working hard to transform the PC and Microsoft buying experience at retail by improving the articulation and demonstration of the Microsoft innovation and value proposition so that it's clear, simple and straightforward for consumers everywhere," Microsoft Chief Operating Officer Kevin Turner said in a press statement. There are multiple reasons Microsoft wants to improve its relationship with consumers. It is gearing up to launch the next version of its flagship operating system, Windows 7, at some point in the next year. The company hasn't confirmed the exact launch date, but it is expected to be late 2009 or early 2010. The current version of the operating system, Windows Vista, hasn't been considered an overall critical success, and many corporate customers have held back from deploying it. Driving consumer adoption will help Microsoft persuade all-important corporate buyers to deploy the operating system. Microsoft is also increasingly seeking to persuade customers of the interconnectedness of its consumer products which span home PC software, Internet search tools and online portals and mobile phone operating system software, as well as the core desktop Windows and Office tools. Jefferies' Egbert noted that Apple's very successful turnaround of its own business, spearheaded when Chief Executive Steve Jobs returned for a second tenure at the helm of the company, roughly coincided with its decision to open its own chain of retail stores, in the late 1990s. More than one-fifth of Apple's fourth quarter 2008 revenue came from its retail stores. Microsoft didn't immediately disclose the value of the investment it was making in the stores, the number of stores it would open or the store rollout. "Retail will help Microsoft in telling a broader story it wants to get across about products from Windows Live to Windows Mobile," Matt Rosoff, an analyst with Directions on Microsoft, said. But some reactions on technology blogs were less complimentary. "What will they sell?" Sam Diaz, at ZDNet.com, wrote in an online commentary. "Boxed software? Xbox? Zune? The stuff that Microsoft wants you to know more about - Windows 7, Windows Mobile and Windows Live - aren't products that you would buy at a Microsoft store." Microsoft has recently been trying to reach out more directly to consumers through advertising. In 2008 it launched a marketing campaign at a reported cost of $300 million, kicked off by a whimsical TV spot featuring its founder, Bill Gates, and the comedian Jerry Seinfeld. The spot, which showed the two men talking about buying shoes, tried to stress Microsoft's relevance in a world where traditional computer operating systems were becoming outdated. It was also seen as a riposte to Apple's long-running campaign which pitches its own computers as simpler and more consumer friendly to Microsoft's Windows. As part of this, Microsoft initially flagged a retail push involving chains, which was scheduled to involve Best Buy and Circuit City Stores. Circuit City in January said it would go into liquidation after failing to reach an agreement with creditors or find a buyer. Rosoff said the beleaguered current state of the electronics retailing industry likely prompted Microsoft into the decision to launch its own chain. Congress on Friday approved a $787 billion economic stimulus measure, meeting the crushing mid-February deadline that Democrats had set for adopting the centerpiece of President Obama’s early agenda but without quelling the partisan divisions in Washington. Not a single House Republican voted for the bill. The vote in the House was 246 to 183, with just 7 Democrats joining all 176 Republicans in opposition. In the Senate, the vote of 60 to 38 was similarly partisan. Only three centrist Republicans joined 55 Democrats and two independents in favor. The Senate finally adopted the bill at 10:47 p.m. after what appeared to be the longest Congressional vote in history. The peculiar, 5-hour, 16-minute process was required because Senator Sherrod Brown, Democrat of Ohio, had to return to Washington from his home state after attending a funeral home visitation for his mother who died on Feb. 2 at the age of 88. Under a procedural deal between the parties, the bill needed 60 votes to pass. The vote began at 5:30 p.m. but from 7:07 p.m. when Senator Evan Bayh, Democrat of Indiana, cast his “ay,” the tally hung at 59 to 38, until Mr. Brown arrived. For some of that time, the majority leader, Harry Reid of Nevada, sat in the presiding officer’s chair, a rare occurrence. Mr. Obama is expected to sign the bill at a public ceremony on Monday. Despite the bill’s promise of increased unemployment benefits and new health care subsidies for the jobless, as well as more than $100 billion in aid for strapped states, House Republicans did not break rank. Even Republicans from states hit hardest by the recession like Michigan opposed the bill, in a pointed rebuke of the new president. During the debate, the Republican leader, Representative John A. Boehner of Ohio, angrily dropped the 1,073-page bill text to the floor with a thump, as he accused Democrats of failing to read the legislation and denying Americans sufficient time to scrutinize hundreds of billions in expenditures. The $787 billion plan, a combination of fast-acting tax cuts and longer-term government spending on public works projects, education, health care, energy and technology, was smaller than Democrats first proposed. But, according to a new analysis by the Congressional Budget Office, more than 74 percent of the money will be spent within the next 18 months, a relatively rapid pace that could determine whether the plan succeeds in spurring a recovery. At a news conference, Ms. Pelosi and her top lieutenants praised Mr. Obama for completing the stimulus legislation so quickly. Just four weeks into Mr. Obama’s presidency, the Democrats boasted that they had already approved three major bills, a measure to curb pay-discrimination against women in the workplace, a broad expansion of the state children’s health insurance program and the stimulus. The Obama administration is hammering out a program to subsidize mortgages in a new front to fight the credit crisis, sources familiar with the plan told Reuters on Thursday, boosting financial markets. In a major break from existing aid programs, the plan under consideration would seek to help homeowners before they fall into arrears on their loans. Current programs only assist borrowers that are already delinquent. Wall Street stock indexes quickly retraced earlier losses on the report, with the blue-chip Dow Jones industrial average jumping 245 points, or 3.0%, to close just 6 points lower on the day. Earlier in the session, stock prices had been testing lows seen last November on investor worries about the economy. Under the evolving plan, sources said homes would undergo a standardized reappraisal and homeowners would face a uniform eligibility test. The administration may also lower the trigger level that decides who would be eligible for relief. Under an existing program, loans are reworked if a borrower is spending more than 38 percent of their gross income on their mortgage. In an interview, James Lockhart, the regulator who oversees government-controlled mortgage finance companies Fannie Mae and Freddie Mac, told Reuters the industry was eager to have a standardized loan modification standard. "I've talked to all the major servicers -- both the big bank ones and the big independent ones -- and they are all ready to go, they're chomping at the bit," Lockhart, the director of the Federal Housing Finance Agency, said. "The other thing they're asking for standardization." However, he declined to speculate on any plans the administration may be considering. The Treasury Department, which is taking the lead role in financial rescue efforts, did not respond to a request for comment. U.S. Treasury Secretary Timothy Geithner this week outlined a plan to take up to $1 trillion in bad assets off the banks' books in the hope of restarting lending. He also vowed the administration would spend $50 billion to combat foreclosures. Geithner said on Thursday the administration would soon put a housing program in place that uses "a mix of incentive and persuasion" to get mortgage companies to rewrite loans. "The key elements of the strategy are going to bring mortgage interest rates down to help avoid the foreclosures that we can reasonably expect to avoid," he said. Late mortgage payments and home foreclosures hit record highs last year. Foreclosure filings eased last month, but were still 18% higher than a year ago, industry research firm RealtyTrac said on Thursday. Sources said Fannie Mae and Freddie Mac would play a supporting role in the new plan, but said the two companies are not expected to repackage the reworked loans as securities for investors, a main line of their business. Homeowners would have to make a case of hardship to qualify for new loan terms, according to the sources. Officials weighed, but have shelved for now, another plan that would have the government stand behind low-cost mortgages of between 4.0% and 4.5%, the sources said. Howard Glaser, a housing official in the Clinton administration, said the type of program under discussion would give officials more "bang for the buck" than the government would get by guaranteeing troubled loans. "Federal purchase or guarantee of these same distressed mortgages would be vastly and prohibitively expensive," he said. Subsidizing existing mortgages would have the added benefit of using the mortgage companies' existing infrastructure, rather than creating a new bureaucracy. Lockhart said policy-makers are eager to prevent a large drop in home values from their current, deflated levels. "Just as we had a large overshooting to the upside. Is there any way to prevent going much further to the downside? That will cause tremendous harm to the U.S. economy, to the financial system and it's not necessary," he said.